When Janet Yellen says we are not likely to experience another financial crisis in our lifetime or Powell says, “…no reason to believe this cycle can’t go on for quite some time, effectively indefinitely” – should we worry? Doggone right we should! “So, let’s look at the Fed’s track record, shall we? Did you know that in 105 years, the Fed has never accurately forecast a recession? Fed heads tout a strong banking system and no risks in the market. What about the “too big to fail” banks? “At the time of the election just two of the six biggest banks,…could boast market capitalizations that exceeded the net book value of their assets. Now all but Bank of America and Citigroup are in that happy position. Who cares if their market cap exceeds their assets? How does that equate to bank safety? When the credit bubble bursts they will write off billions in bad loans and/or get bailed out once again. Are you comfortable a major crash won’t trigger another bank bailout at our expense? Count me as a skeptic! 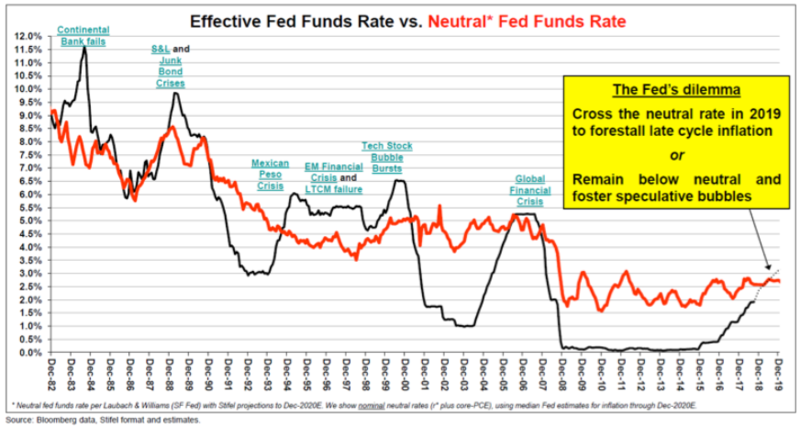 Is the Fed going too fast? “Stock investors could be in trouble heading into next year as the Federal Reserve continues to tighten monetary policy more than what is called for given the low level of inflation, Stifel’s Barry Bannister writes. Bannister…said…that two more rate hikes would put the central bank above the so-called neutral rate, which accounts for inflation. If Mr. Bannister is right, a big market correction is coming soon. Mr. Powell and Ms. Yellen tell us happy days can go on indefinitely. Who are you betting on? Are you confident the market will only drop 20%? The S&P 500 dropped56.4% last time. Not all market corrections turn into a financial crisis, but the warnings are clear. 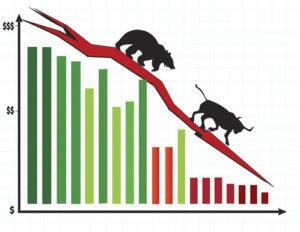 The losses were temporary as the market rebounded – so far! The Fed is aggressively hiking rates, while unloading trillions in treasuries, driving rates even higher. Does that look like “very gradually” or are they slamming on the breaks while putting the car in reverse? Is the Fed trying to engineer a crash before the next election? I hope it is not true. If the deep state is willing to do that to maintain their power, God help us all.